Explaining on behalf of the government, Solicitor General Tushar Mehta told the top court that the CVC had come to the conclusion that an extraordinary situation had arisen which needed an extraordinary remedy. The Supreme Court on Thursday questioned the government’s decision to take immediate steps to divest the CBI Director Alok Verma of his powers without consulting the selection committee even when it knew that the infighting between the senior-most officers had been going on for months. The court further questioned the overnight decision of the government on October 23 when the CBI chief was set to retire in February. It wondered why the Centre could not wait for a few more months and consult the selection committee. 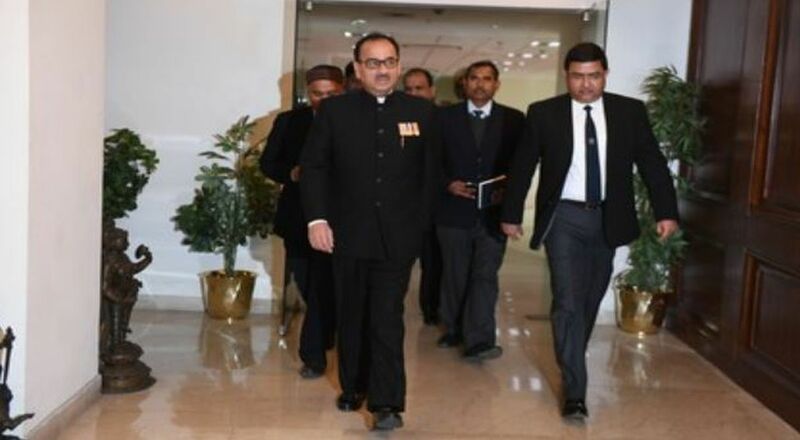 “Fight between the two senior most CBI officers did not emerge overnight so why did government take immediate steps to divest the CBI Director Alok Verma of his powers without consulting the Selection Committee,” Chief Justice Ranjan Gogoi asked. The Supreme Court further asked Solicitor General Tushar Mehta about the difficulty in consulting the selection committee before divesting Alok Verma of his power. “Government has to be fair, what was the difficulty in consulting the selection committee before divesting Alok Verma of his power? Essence of every government action should be to adopt the best course,” the court observed. Explaining on behalf of the government, Mehta told the top court that the CVC had come to the conclusion that an extraordinary situation had arisen. “Extraordinary situations sometimes need extraordinary remedies,” he added. “Extraordinary situation arose, CVC order was passed impartially. Two senior most officers were fighting and investigating cases against each other, instead of probing serious cases. CVC’s inaction would have been dereliction of duty,” the Solicitor General told the court. Attorney General KK Venugopal, counsel appearing for the government meanwhile, told the Supreme Court that “CBI Director Alok Verma was not transferred” and that “it was an artificial argument by him that he was transferred”. “It was not a transfer and two officers were divested of the charges and functions,” the AG said. However, advocate appearing for Verma, Fali Nariman argued that “in all circumstances the government was bound to consult the selection committee”. “Transfer in this case doesn’t mean transfer in service jurisprudence. Transfer doesn’t only mean one place to another,” he added. He further argued that as there cannot be an acting Chief Justice of India according to the Constitution, there can also be no acting director of CBI. The apex court is hearing Verma’s plea against the government for divesting him of his duties and sending him on leave following an ongoing spat between the top officials. 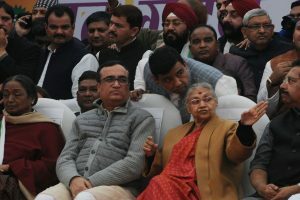 After hearing both the sides, the Supreme Court reserved its order on the plea filed by CBI Director Verma and NGO Common Cause challenging the government’s decision to divest him of his charges. Earlier on Wednesday, the government had told the Supreme Court that it had taken the decision to send Alok Verma on leave, as it was very concerned on what was happening, as two senior-most officers were “fighting like cats in public”. “The fight between Alok Verma and Rakesh Asthana was becoming critical and matter of public debate. The Government of India was watching with amazement as to what the top officers were doing; they were fighting like cats,” the government argued. The government asserted that it was forced to strip Alok Verma and Rakesh Asthana of their duties and send them on leave “in the larger public interest to ensure institutional integrity”. Earlier, last week, CBI Director Alok Verma had told the Supreme Court that he was appointed for a fixed tenure of two years and cannot even be transferred. Challenging the government’s decision, his counsel and senior advocate Fali S Nariman said Verma was appointed on February 1, 2017, and “the position of law is that there will be a fixed tenure of two years and this gentleman cannot be even transferred”. In an unprecedented move, the Central Bureau of Investigation divested Director Alok Verma and Special Director Rakesh Asthana from their duties on October 23 as the two hit out at each other over bribery accusations in the meat exporter Moin Qureshi money laundering case.